Few wineries in the Okanagan have been as consistent as Blue Mountain Vineyard and Cellars. The quality begins with the meticulous viticulture in this Okanagan Falls vineyard which was established in 1971 by Ian and Jane Mavety. Since the mid-1980s, when the Mavety family decided to establish a winery, the vineyard has been given over to the premium wine varietals of Burgundy, Alsace and Champagne – varietals best suited to this terroir. When they began making commercial wine in 1991, they employed an excellent consultant from California. Meanwhile, they sent their son, Matt, to New Zealand to become a winemaker. He has been Blue Mountain’s winemaker since 1997. The same well-trained winemaker working only with estate-grown grapes and with a constant focus on a disciplined portfolio adds up to consistent quality. The releases this summer exemplify that. Here are my notes. Blue Mountain Sauvignon Blanc 2017 ($18.90). This wine was fermented and aged five months in a combination of stainless steel, neutral oak and foudres, building texture while keeping the fruit bright. It begins with aromas of grapefruit and herbs. On the palate, the are flavours of lemon and grapefruit. Caution: do not overchill this white. The flavours and aromas open as the wine warms a bit in the glass. 91. 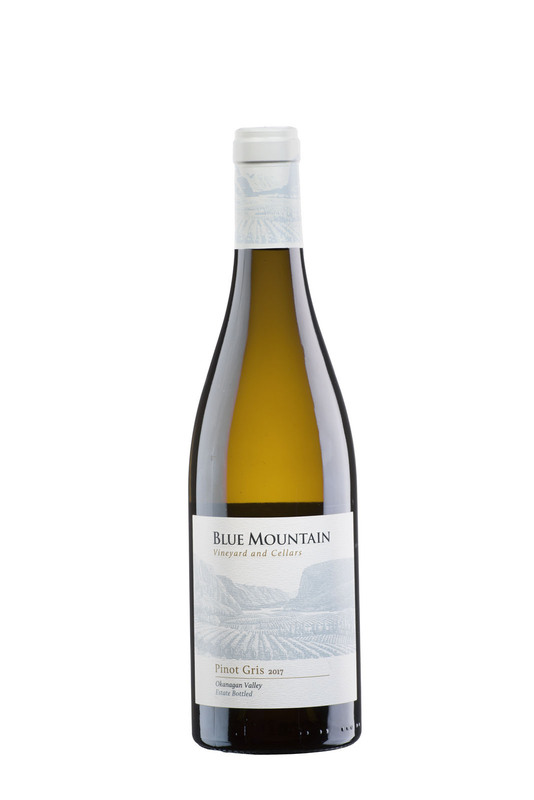 Blue Mountain Pinot Blanc 2017 ($17.90). The wine is crisp and focussed, with aromas and flavours of green apple and melon. There is a hint of lees on the nose as well. The wine has good weight on the palate but a tangy finish. 91. Blue Mountain Pinot Gris 2017 ($20.90). The grapes (from 31-year-old vines) were whole cluster pressed. The fermentation was 39% in stainless steel; the remainder was fermented in a combination of oak (foudres, barrels and casks) and aged six months on the lees. The wine begins with aromas of pear and herbs. The wine has a rich texture on the palate, with flavours of pear and cantaloupe and a hint of anise on the lingering finish. 92. 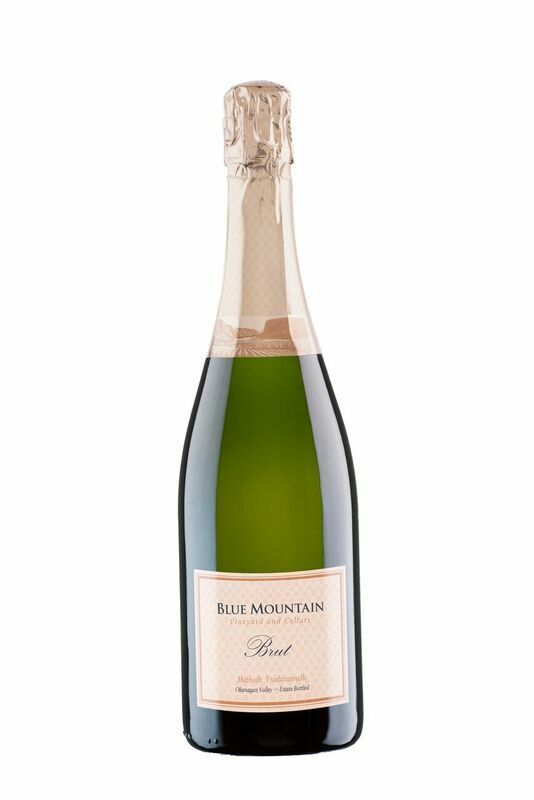 Blue Mountain Brut NV ($27.90). This bottle-fermented sparkling wine is made with Pinot Noir, Chardonnay and a little Pinot Blanc. The wine was aged 14 months on the lees before being disgorged. It is crisp and dry, with aromas of citrus and brioche. On the palate, there are flavours of apple, citrus and brioche. The lively mousse gives the wine a creamy texture on the palate. 92. 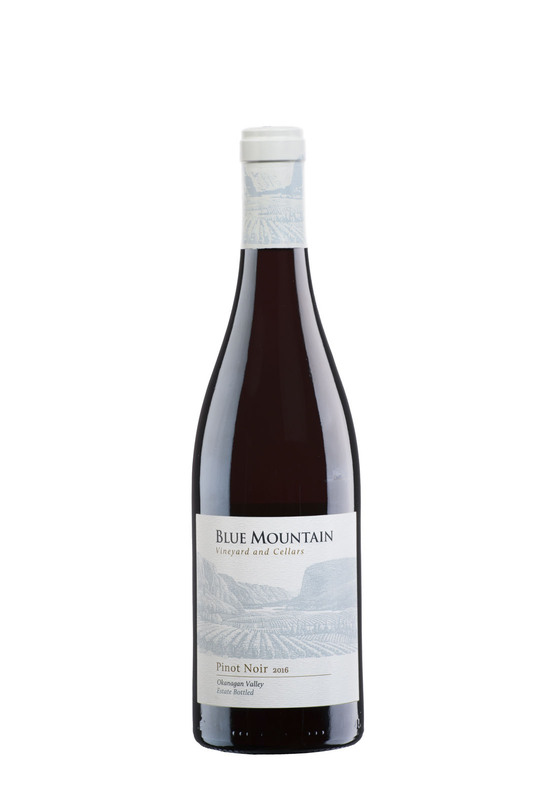 Blue Mountain Pinot Noir 2016 ($29.90). The winery used six different clones from vines ranging 10 to 32 years of age. The grapes were destemmed and fermented in open top fermenters, with 16 to 20 days of maceration and with light pump-overs. The wine was aged about 17 months on French oak barrels. The wine has a fine rich hue, leading to aromas of lightly toasted oak mingled with black cherry and plum, echoed on the palate. The wine had a velvet texture. On the finish, there is a pleasantly earthy note. 92.